Bone Index, Ltd., one of Europe's top new manufacturers of medical devices, and Life Line Screening, the US's leading provider of direct to consumer preventive health and wellness screenings, have joined forces to bring cutting edge bone density screening to American consumers through Life Line's community-based screening events. Undiagnosed osteoporosis is a worldwide challenge. In the US alone osteoporosis is responsible for two million broken bones every year, costing over 19 billion dollars. Experts forecast that by 2025, the costs will rise to 25.3 billion dollars. One of the biggest challenges is the limited availability of osteoporosis diagnostics since bone density scans are mostly performed in hospitals with large DXA X-ray machines that entail high costs. "This is why Bindex® is a game-changer," says Bone Index's CEO, Dr. Ossi Riekkinen, "Life Line Screening provides health and wellness services at approximately 15,000 screening events throughout the United States, including ultrasound screening for vascular disease and bone density. Partnering with Bone Index, Ltd, allows us to bring more accurate and convenient bone density screening to the public," says Kelly Daubach, VP, Business Development, Life Line Screening. "No other screening company will have a more accurate, safe or simple test for Osteoporosis." 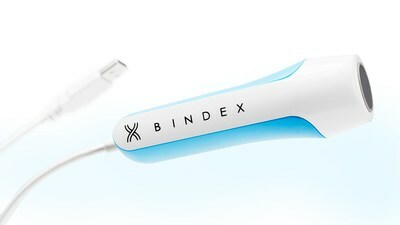 Bindex® point-of-care device measures the cortical bone thickness of the tibia and the algorithm calculates the Density Index, a parameter which estimates bone mineral density at the hip as measured with DXA. "Bindex® has a total of 19 patents globally including the US, China, Japan and large European countries. "Now Bindex is used in the world's largest osteoporosis screening campaign in Finland, and we are pleased to partner with Life Line Screening for providing Bindex in the US. The overall aim is to prevent osteoporotic fractures and improve the quality of life for families in the US," Dr. Riekkinen concludes. Founded in 2011 and based in Kuopio, Bone Index Finland Ltd. specializes in the development of measuring devices for osteoporosis screening and diagnosis. Life Line Screening is the nation's leading provider of preventive health and wellness screenings. Life Line's teams deliver patient specific preventive health care screenings locally to consumers motivated to stay informed about their health. To learn more, visit http://www.lifelinescreening.com.